I guess I let the blogging side down. I don't throw pretty, brightly coloured glittery bath bombs into the water and film them fizzing away. FAIL. I'm not a bath person though, I'm most definitely a shower girl. 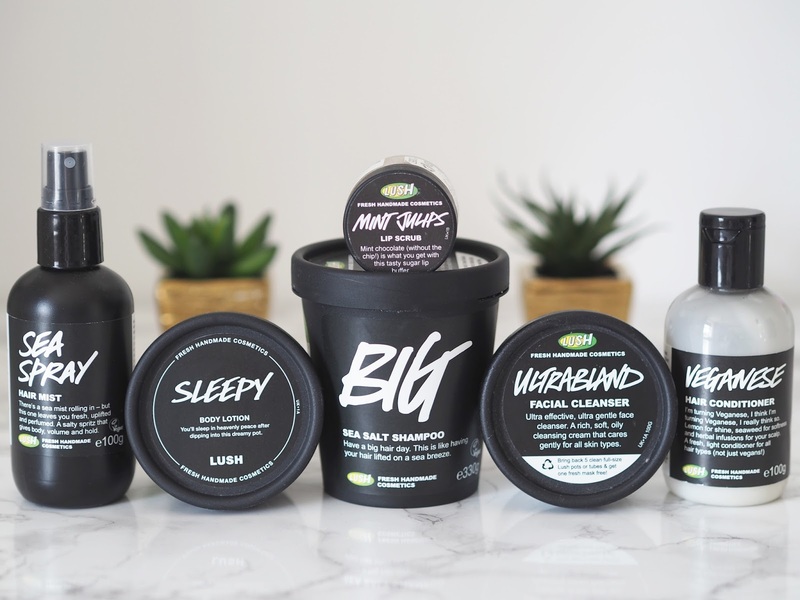 BUT, that doesn't mean I don't love Lush, with their fresh, handmade, pungent beauty products, their policies and what they stand for as much as the next gal. I do. 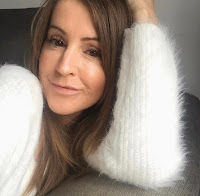 So, I thought I'd just run you through some of my current favourites. Ultrabland cleanser, the name of this always makes me laugh, it's anything but boring and bland. It's my go to for my first cleanse of an evening and I do use every night without fail. It's gentle on the skin but so effective and I even use it to take off my eye makeup. I did a review on it a while back, you can read it here, and I still swear it nourishes my eyelashes and helps them grow! Sleepy body lotion was apparently a limited edition, I didn't know that when I bought it, so was kind of disappointed when told they had no more! Although the store did say they are likely to repeat it at some point. If they do, get it. As the pot says, it's heavenly. Made with cocoa butter and calming lavender, it moisturises your skin overnight like no other and the lavender is so comforting, helping you to drift off into a better nights sleep. Your skin feels amazing the following morning, ridiculously soft and there's still a gentle aroma left behind, even on your sheets and pj's! BIG and Veganese are are two others I cannot live without. I've shouted about BIG sea salt shampoo before (here) as I've used it for quite some time now. My hair is fine and quite flat and this gives it the lift, body and volume I need, it's the shampoo that makes you feel like a mermaid! 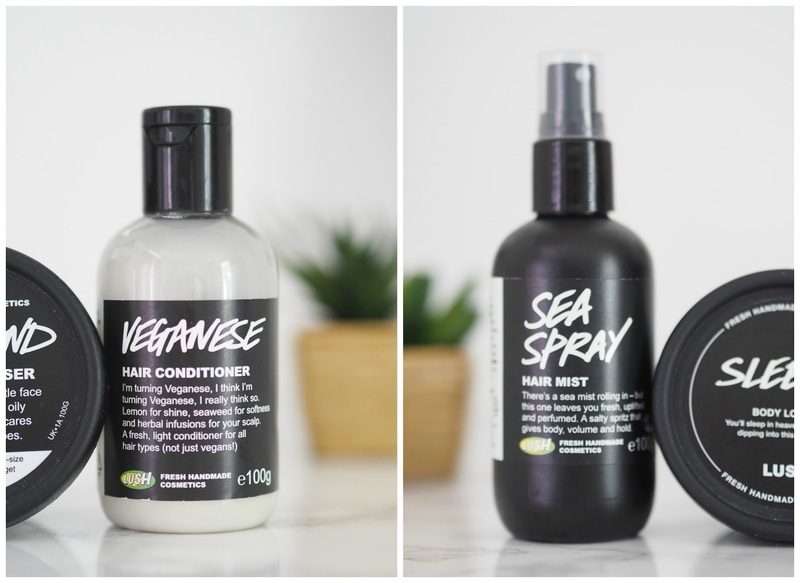 Veganese works for me as a conditioner, it doesn't weigh my hair down but I think you'll either love it or hate it. It does say it's for all hair types so if want to give it a whirl go ask them for a sample pot. The sea spray hair mist is not mine. It's Nicks, he loves it and uses it every day to style his very short hair, he actually get through tonnes of the stuff. When I say style, I just mean to give it some lift at the front really, he doesn't want beach babe waves! Basically you can use it on wet hair, leaving it to dry naturally for those beachy waves or dry hair to style and lift at the roots. Smells amazing too. I do need to highlight one problem though. We often have issues with the pump dispenser, finding on the odd bottle it works intermittently, it's as though the product builds up, gets sticky and just won't spray properly. We've had to take several back to get them swopped. I think it's something Lush definitely need to sort out. The lip scrubs. Last but not least it's a product that so many of us love. My fave is the mint julips. I've always got dry flaky lips so this is a regular in my beauty routine. It has to be the mint one for me, I've tried the others but they're just to sweet and sickly, yes you can't help but taste it, they're all natural ingredients so don't worry, and the mint one leaves you with a fresh, invigorated feeling. I am also a big fan of their shower gels, especially The Comforter and The Olive Branch. This is not a sponsored post in any way, I just thought I'd share what I love. 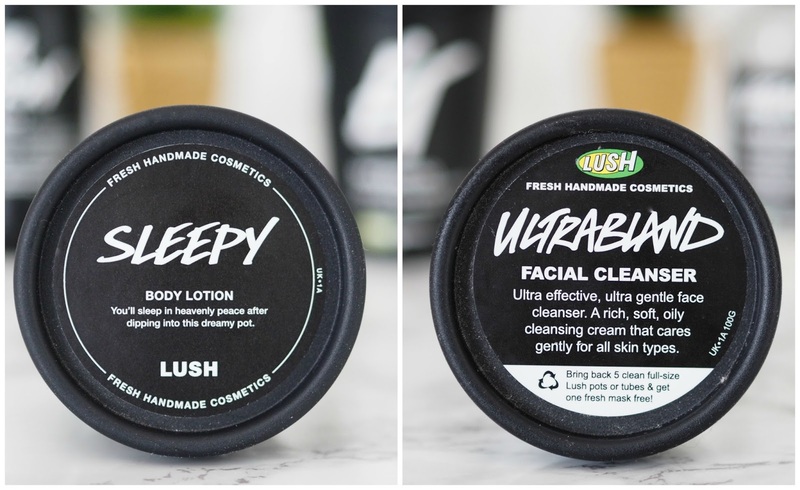 I love Lush's other products, which are often overlooked. Lots of new ones to try from this post! My current favourites are the Magnaminty face mask and Karma Cream body cream.